What can I say? It’s lemon curd. One of my favorite crepe fillings, layered cake fillings, cheesecake topping, toast dipping, and spoonful scarfing, etc, etc.. This is one of those recipes which is surprisingly easy considering what appears to be sophisticated results. 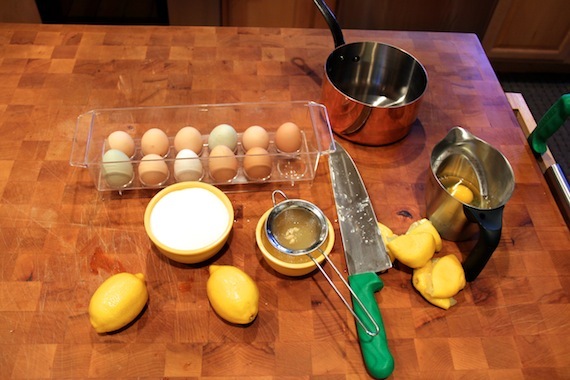 A friend of mine, at Twin Springs Homestead, recently brought me some of her fantastic fresh and local eggs and lemons have been coming in nearby in the Sacramento Valley. It’s time for some lemon curd! Beat the butter in your stand mixer on medium, continue to slowly pour in all of your sugar and your salt. Add your eggs one at a time and then add the lemon juice. Feel free to pause and scrape down the bowl as necessary. 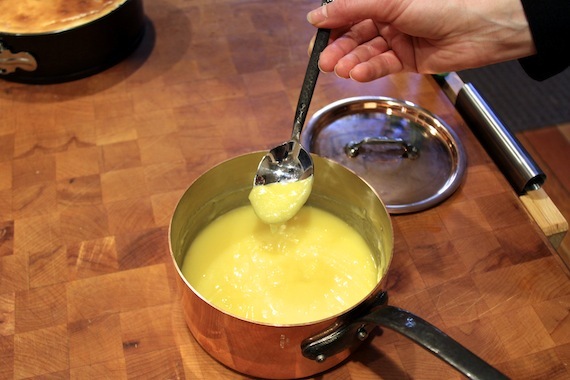 Pour the mixture into a small sauce pan and cook, stirring, until the lemon curd tightens up and becomes thick. This thickening action happens fairly fast once it begins to simmer at about 175. I haven’t made Lemon Curd in ages. I use heavy cream in mine too, so it’s even a bit more fattening…lol. Hi Angela! I hope you do try it 🙂 Great to hear from you!